Discussion in 'Registrars' started by Prashant Sharan, Feb 5, 2019. At the end of January, Sedo published a report (click to view) that listed the top public domain name sales closed via its brokers and through its platform from 2018. 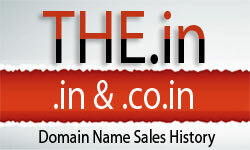 Sedo also listed the top new gTLD domain name sales from the past year. In addition to the sales data, Sedo also shared some trend predictions for domain names in 2019.